This savage video shows an undefeated MMA fighter getting knocked out in just four-seconds flat after a fierce kick to the head. They say never leave a result in the hands of the judges, and this guy made sure he avoided that fate. 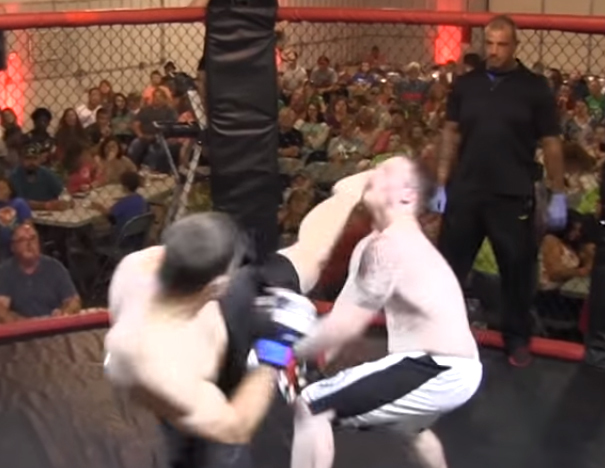 The amateur fighter obliterated his favoured opponent in four seconds flat – a hell of a win! 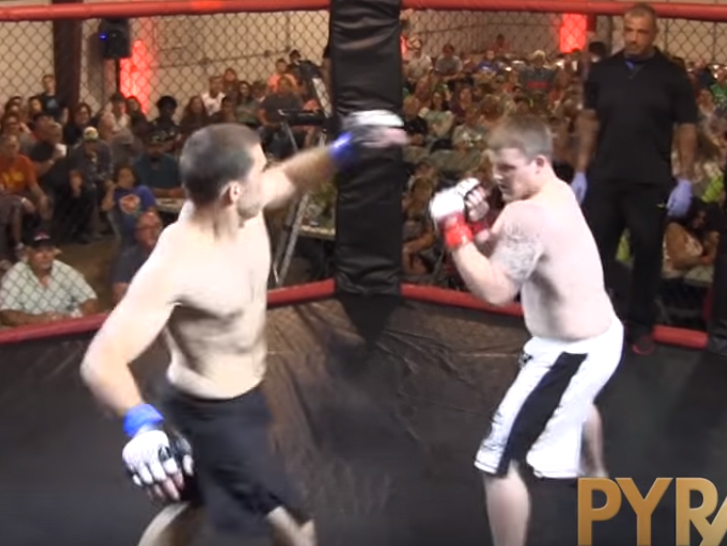 Jordan Fowler – an Arkansas policeman – and 195lb catchweight Dylan Goforth touched gloves, as part of the Pyramid Fights 2 at White County Fairgrounds and seconds later, Goforth was out for the count. Fowler also smashed the Arkansas state MMA knockout record. The ironically named Goforth didn’t stand a chance against the speed and force behind Fowler’s head kick. Poor guy, he got absolutely ruined. Hopefully there’s no lasting damage. But still if you’re going to go down, you might as well go down in style.